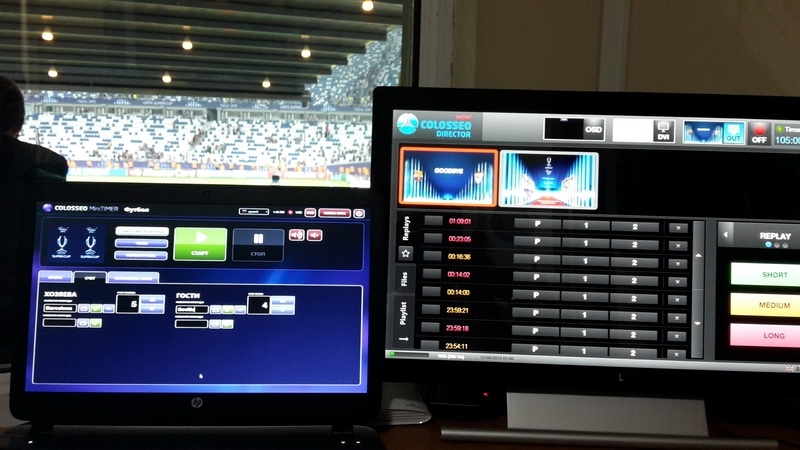 Football event of the year played at stadium with Colosseo system! 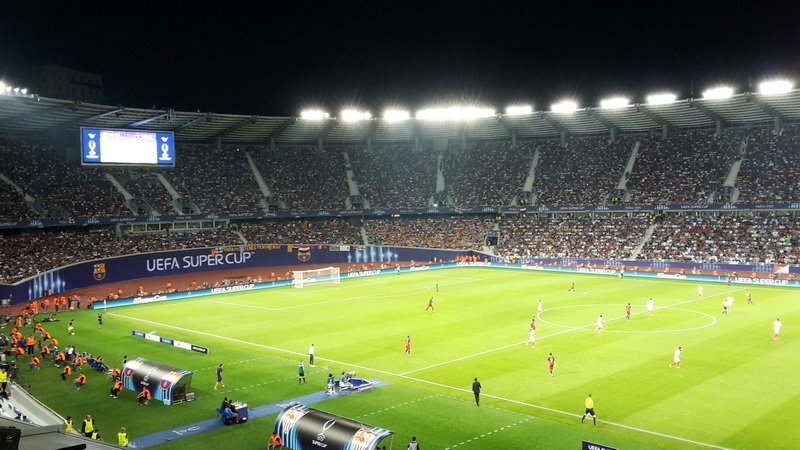 Two giants of the football world – FC Barcelona and FC Seville, met at Boris Paichadze stadium in the Georgian capital of Tbilissi for the 2015 UEFA Super Cup in front to 51.000 spectators! 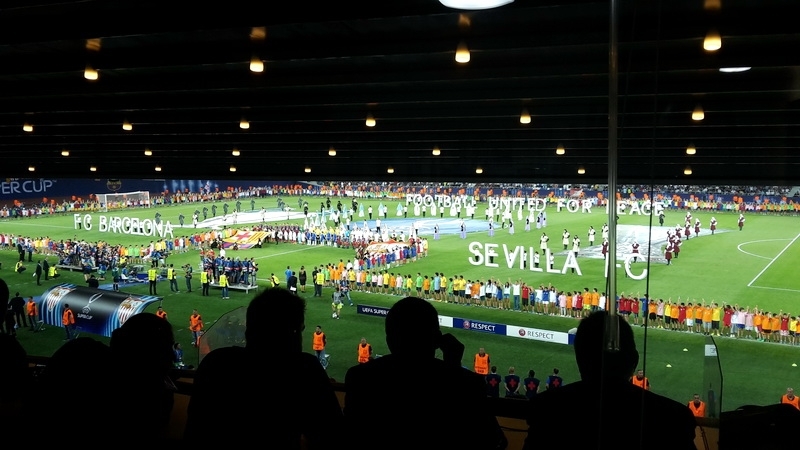 It was the jubilee 40th cup, which is an annual tournament contested by the winners of the UEFA Champions League and UEFA Europe League. 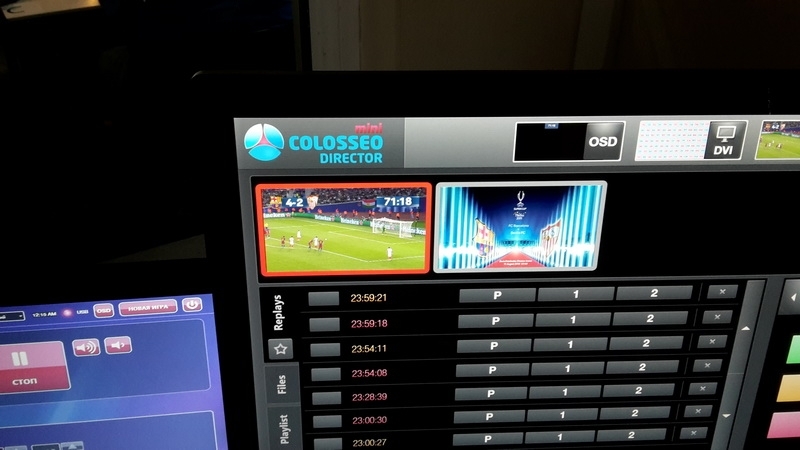 It was the first very important match at the stadium, where Colosseo recently installed the world’s first curved stadium screen with HD surpassing resolution along with the control system and module for timekeeping, scoring and statistics. 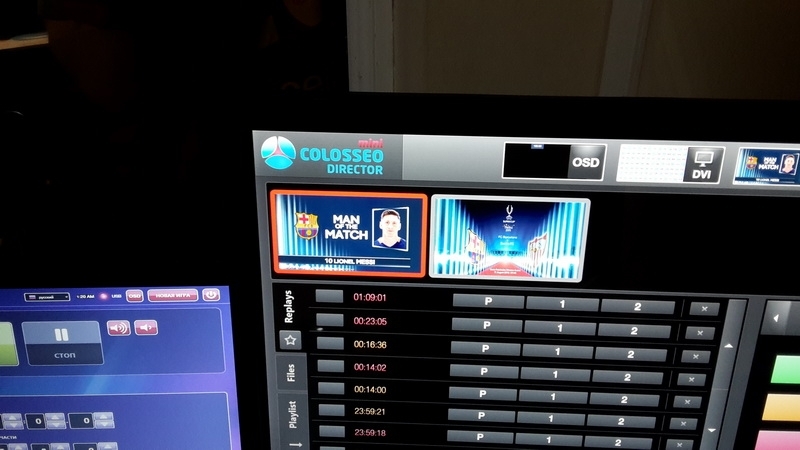 Colosseo is very proud of contributing to the elevated fan experience during this exceptional and prestigious football event and the new curved screen with 20 x 7m dimensions and P10 LED technology was indeed a huge asset during the match. FC Barcelona eventually won the game 5-4 when Pedro Rodriguez scored the winning goal in extra time. 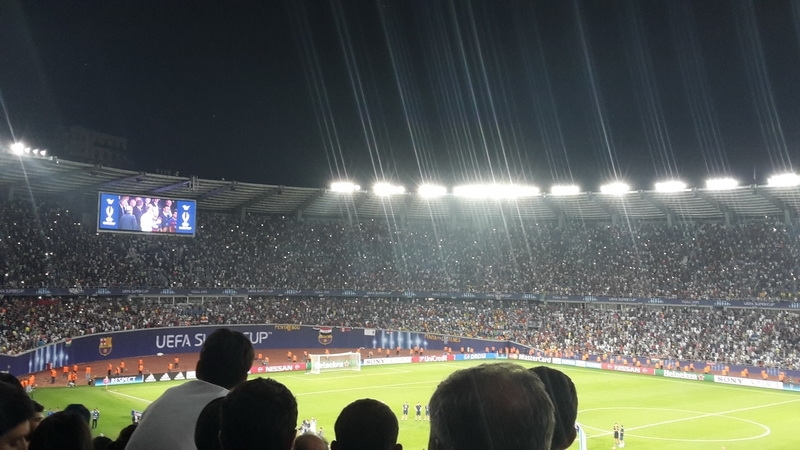 Fans departed the stadium thrilled and satisfied and we look forward to being part of more exhilarating matches across the globe with Colosseo equipped stadiums!